Christians often say that their belief is not compartmentalized. It runs through every part of their lives and affects all that one does or thinks. The following drawing, by the wonderful Filipino artist, sA-oHime, shows nothing with Christian overtones, but the verse reflects how faith and life are inextricable. I thank GOD above all.That’s my goal, to make a lot of drawings having verses so that i am not just able to showcase my gift but to spread my faith as well. 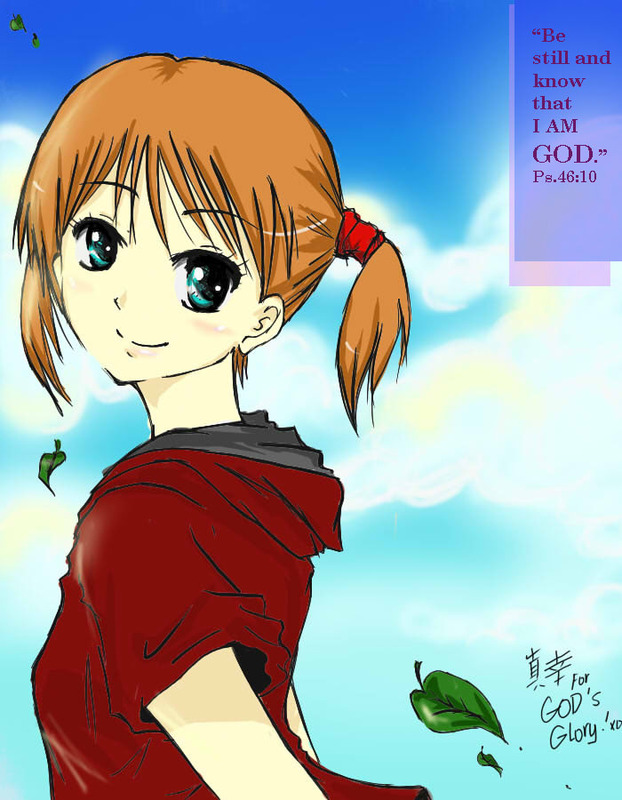 I have it in anime style since it’s the style i think i’m better at and as i noticed, there are only very few who uses anime and manga as medium of sharing the faith. I’m really glad that so far, I’m able to do it. Well,I think that’s what inspired me to draw it, my goal that is. For more of sA-oHime, please visit her deviantART profile. She is accepting commissions.